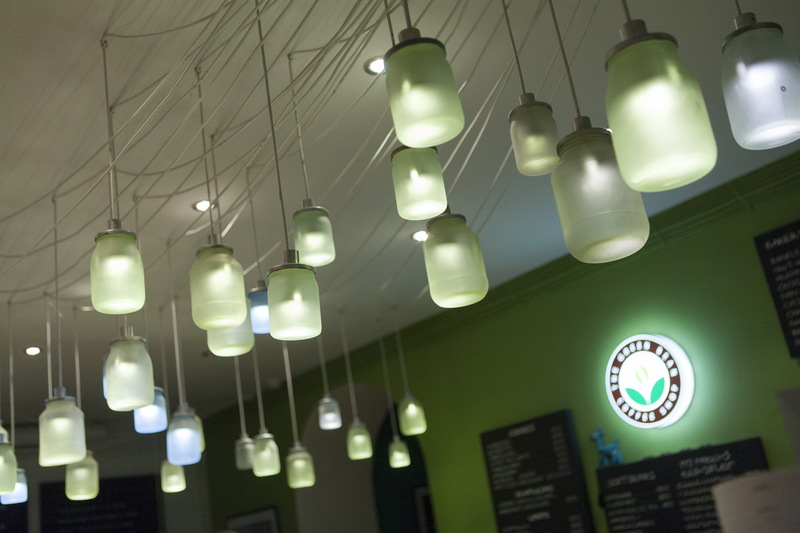 This Green Bean cafe is known for its eco friendly design concept, friendly service, and awesome coffee. 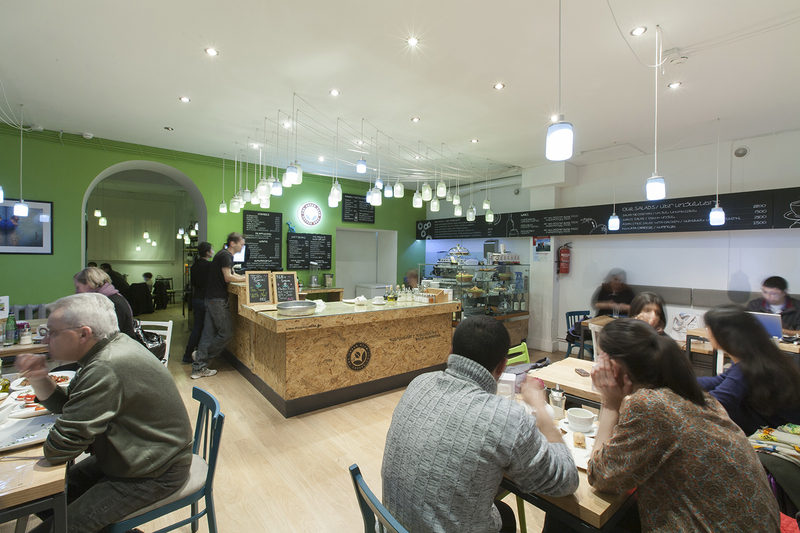 TGB is a cozy environment, where people come to have a bite to eat, study, work and connect with others. 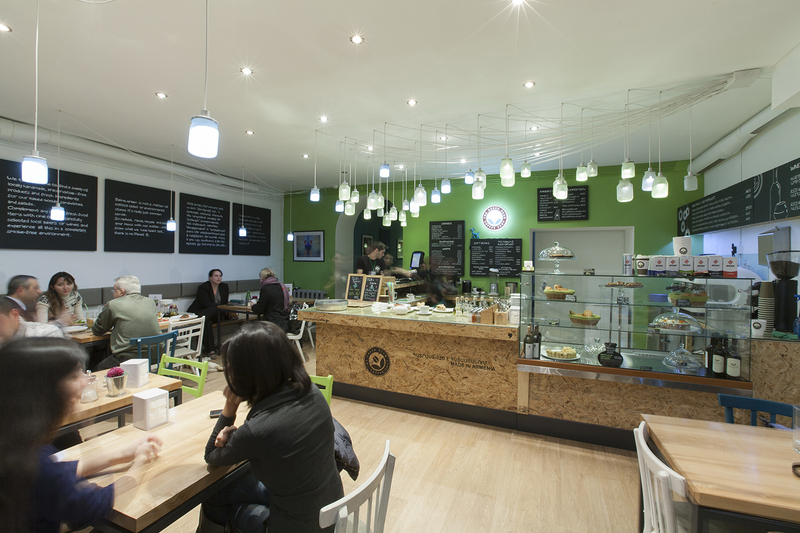 We are proud to have designed an eco-friendly and sustainable design for this environmentally conscious cafe. 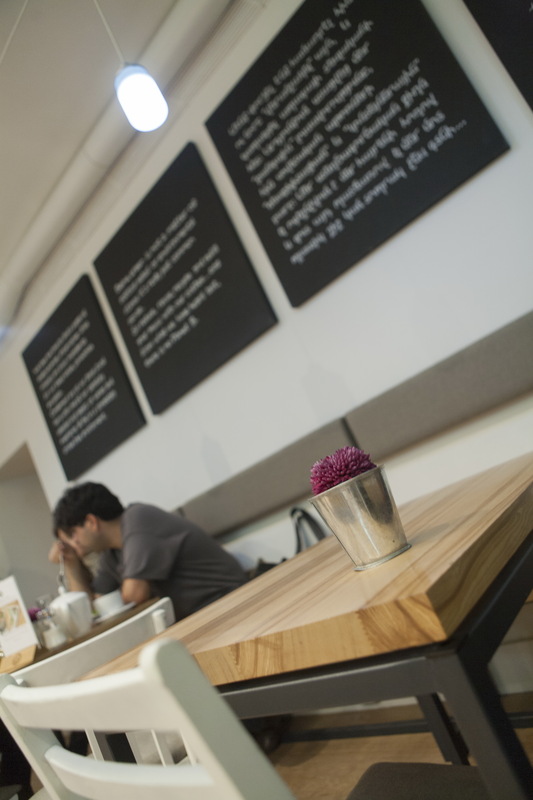 TGB has a customer-oriented philosophy, as well as an emphasis on sustainable practices. Therefore, we strove to create a unique and comfortable space without spending excessive energy to alter the existing structure. 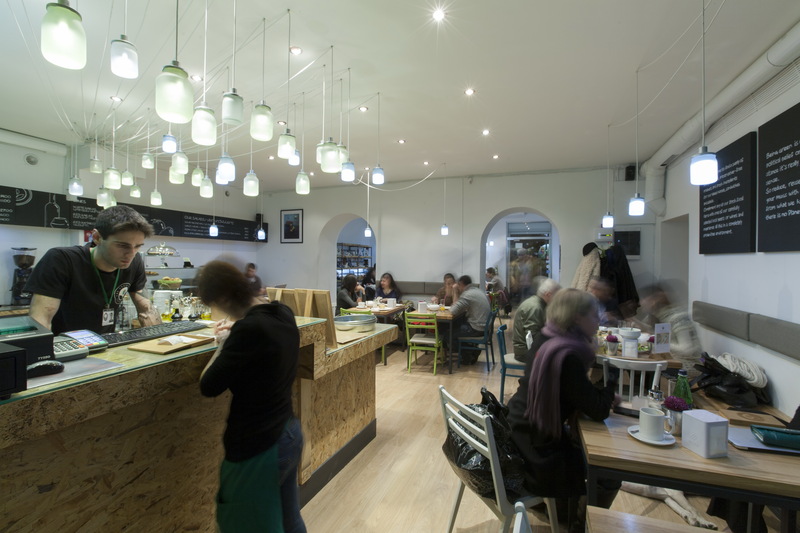 As a result, we left the majority of the space’s structural and electrical elements exposed. 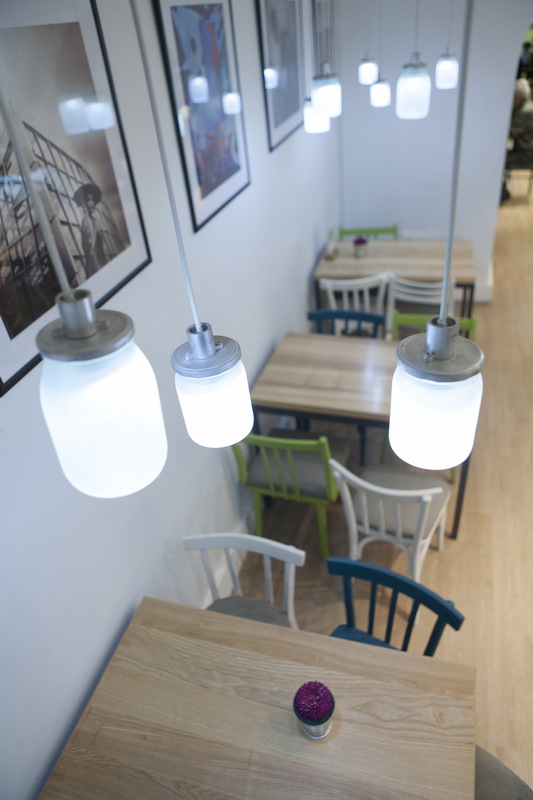 We furnished the interior with recycled chairs and fixtures. We reused scrap plywood for the interior surfaces and used mason jars from a local merchant to construct our own lighting fixtures with integrated low consumption LED bulbs. The greatest attribute of the interior design is that, though fairly minimalistic, it allows one to feel relaxed and at home without being overly simple. 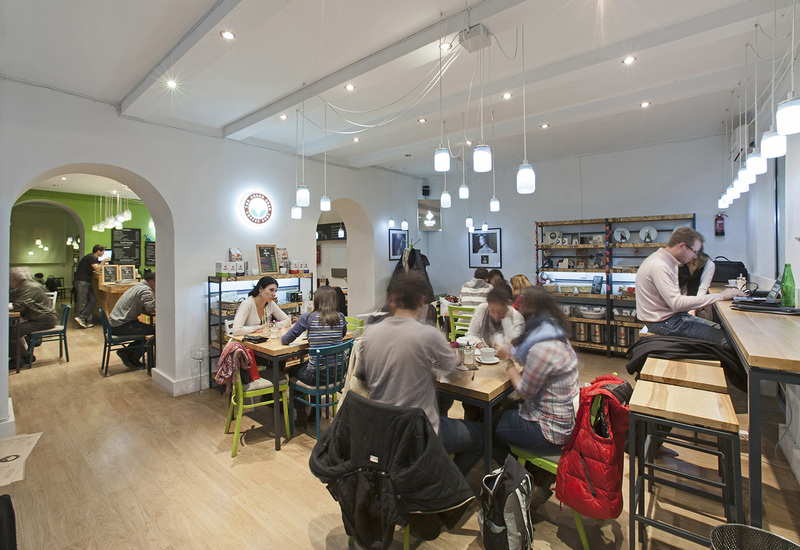 Visitors can lay back, take it easy, and feel good about supporting and eco-friendly local Armenian cafe.